The HealthCare.gov website is seen on a computer screen in New York, Oct. 23, 2018. 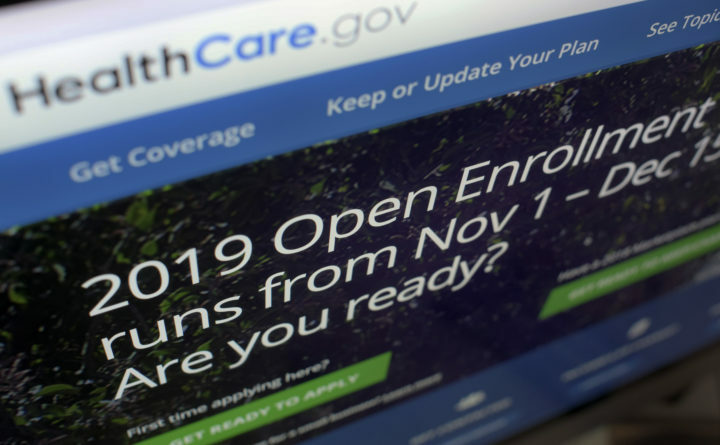 The sign-up period for next year's individual health insurance coverage runs from Nov. 1 to Dec. 15. Picking a plan can initially involve several trips to websites like healthcare.gov just to understand the options. Shoppers who want to stick with the same plan must scrutinize it for changes. Mainers can soon sign up to purchase health insurance plans on the individual market. Maine Bureau of Insurance Superintendent Eric Cioppa said Maine residents have between Nov. 1 and Dec. 15 to purchase or change such plans. Cioppa called rate increases modest overall. The re-launch of a reinsurance program means some rates have actually decreased. The program will reduce insurers’ risk and keep overall rate increases lower. Individuals who’ve faced large increases without subsidies in recent years are also expected to get assistance. Insurer Anthem will again sell plans on the exchange for 2019. Maine Community Health Options and Harvard Pilgrim will again sell such plans. Cioppa is urging consumers to start the process soon to leave time to research and compare plans.